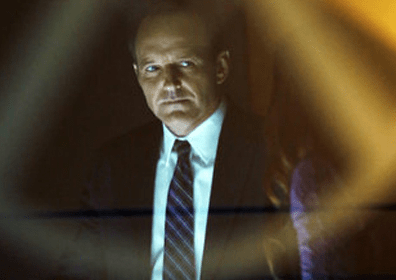 Airdate: Marvel’s Agents of S.H.I.E.L.D., Men at Work. Anticipated new US series Marvel’s Agents of S.H.I.E.L.D. will begin on Seven with a double episode premiere in the PG rated timeslot of 7:30pm Wednesday October 2. It’s probably a move to counter-program against Hostages which begins at M rated 8:30 on Nine the same night. While this is a week after it premieres in the US, Seven catches up quick smart. As a result SlideShow is out. It will be followed at 9:30pm by the premiere of US sitcom Men At Work which premiered in the US in May 2012. Agent Phil Coulson assembles a small, highly select group of Agents from the worldwide law-enforcement organization known as S.H.I.E.L.D. Together they investigate the new, the strange and the unknown around the globe, protecting the ordinary from the extraordinary. Their first assignment is to track down a man that has powers with could have devastating consequences. trouble for Gibbs. Then, the guys are put on edge when Neal starts cutting costs in the office to prove to the boss that he is ‘all man.’ Milo winds up in jail after attempting to get firsthand inspiration for an article about drug trafficking. @poss The reason we are getting a glut of shows now is because it is coming into the US high end of rating season (Winter) and the channels are fast-tracking them. That will be what happens from here on in if they keep fast-tracking shows, they will come on in what is seen as our non-rating period. Will be interested too see how Australians deal with the often US run on shows in this period of 4 weeks on, 2 weeks off, 1 week on 3 weeks off, 2 weeks on, 3 weeks off and etc., of their shows (as they break for Halloween, Thanks Giving and etc). I am certain that is why Channel 7 held off Suits and Covet Affairs with them only having a 10 week season before breaking for 3 months. Really looking forward to this one coz Marvel’s awesome!! As a Whedon fanboy I can’t wait for S.H.I.E.L.D.!!! Not to forget an attempt to thwart Channel Nine’s Big Brother eviction move!! Pass….i really can’t be bothered i will catch it if and when it comes to foxtel. Why is it so close to the end of ratings season we have a glut of new programmes and during the peak of ratings i had about 3 things i had to record? Not feeling the hype for this, The Blacklist looks much better. Hearing 7:30, PG family friendly slot, turns me off, I want a real drama.